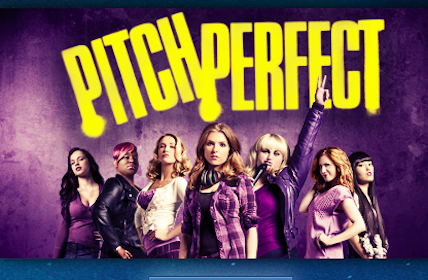 "Pitch Perfect" is one of the most popular movies nowadays that deals with college life, most especially in the arena of inter-collegiate music competitions. The movie has a trendy and upbeat set of songs that made it a hit, and the good looking cast headed by Anna Kendrick and Skylar Austin made it a visual feast as well. But more than that, "Pitch Perfect" also showed the side of college friendships, most especially when one is starting out as a freshman. There are many positive points we can learn from watching this movie, and here are some insights that we can pick up when it comes to making and keeping friends. 1. Learn to reach out to make friends. Bellas as well. Making friends in college or just about anywhere else isn't easy, but it helps if you share something in common with each other. Join clubs and orgs that you're really interested in. You don't have to be friends with everyone in the group. Take it slow if you feel comfortable starting out with one or two close acquaintances. You'll make friends soon by reaching out and following the usual guidelines for friendship, like being kind and being yourself. Listening is the most important skill that people must learn in order to build and maintain all forms of relationships. Yet most would rather talk and talk than listen, and this can lead to misunderstandings between you and friends. Learning to listen first can help you get a good picture of the situation and understand circumstances. The Bellas almost had a falling-out because of Aubrey, their imposing leader. But when they learned to take a breather and listen to what everyone had to say, that helped them fix their repertoire for the A Capella National Competition. Good listening skills are a must-have, because these keep friends together. 3. Be open to feedbacks from your friends. There are times that you and your friends end up opening yourselves to each other, telling things that you like and don't like in them. And this can lead to misunderstandings and fights. If one of your friends tell something about you that sounds unpleasant to the ears, better think it over instead of immediately snapping back. True friends mean well when they tell you that you should change a nasty attitude or you're doing something not right. It's because they want you to improve and they care about you. When The Bellas told their leader Aubrey about their complaints with the group's singing, Aubrey was at first angry and hesitant to accept the truth about changing their choice of songs. But later on, she softened up and learned to listen to the suggestions of Becca and the others. The change in song choices made them win the Nationals in Acapella Singing. 4. Be in tune with each other. Friends must learn to remain in tune with each other, whether it's singing together or listening to one another. Being "in tune" as friends mean that you remain connected no matter what. This can be done by being with each other always and not leaving the other when a friendship crisis strikes. When friends learn to be in harmony, this strengthens the friendship and helps them through thick and thin. 5. Stick together 'til the end. It's easy to remain friends during happy and easy times, but what if your friendship is challenged? This is what happened to The Bellas when they kept on losing the a capella singing contest and they didn't know why. When Becca suggested that the group change their types of songs and Aubrey disagreed by using the same set of songs, that tested the camaraderie of the group. Fights broke up and most members were close to quitting. But when they realized that they can't survive without each other, that started the change of heart within them. In the end, they stuck it out and learned that they need each other in achieving their musical and personal goals. 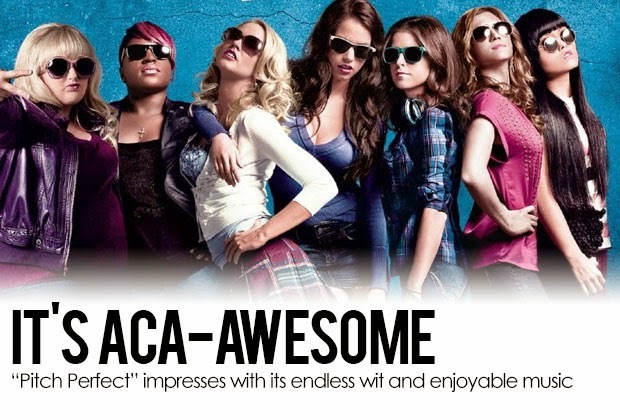 These lessons from "Pitch Perfect" can help us maintain friendships, whether you're in high school, college, or done with school. Remember that being a true friend means that you remain in tune with the pitch of life's ever changing melody. Lauren Todd works in an educational setting and also had her fare share of college friendship mishaps. This is why she likes the movie Pitch Perfect. She also part-times as a freelancer for a group of uk essay writers online. You can follow her on Google+.